We’ve been working on improvements to the iCal and Google Calendar integration in PublishPress. These improvements aren’t live yet, but in a few days you’ll see them inside PublishPress. Thanks to the PublishPress members who have helped us test and improve these features. At the moment, you’ll see a link in the top-right corner of your calendar that says “Click here to Subscribe in iCal or Google Calendar”. This link will export the details of the content from your PublishPress calendar. Click the link above your calendar and you’ll see this pop-up. You can choose how far into the past (Start date) and how far into the future (End date) your calendar goes. You can either download the .ics file or you can copy the URL for your calendar. 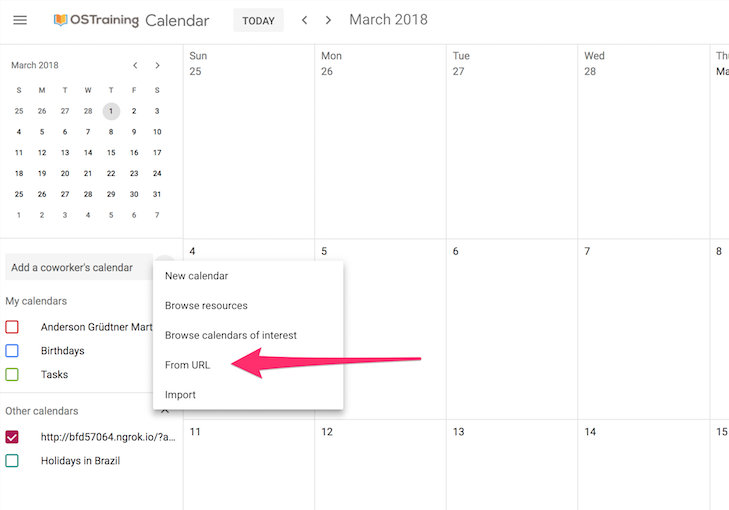 For Google Calendar you need to choose “From URL”. For the Calendar app on Macs, choose “File” then “New Calendar Subscription”. 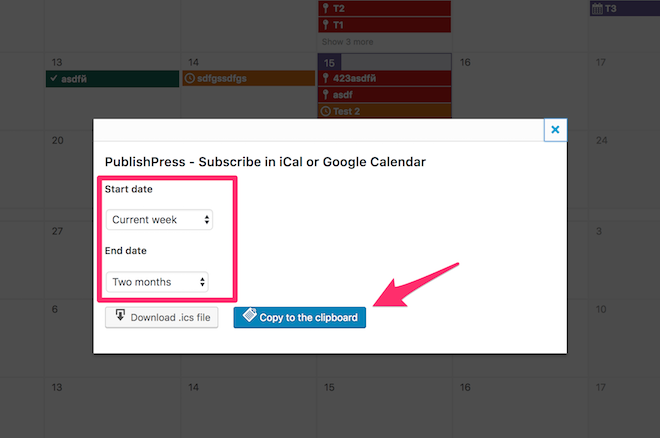 PublishPress will now automatically export your content schedule to this new calendar. Each item on the calendar will contain details about the content, including the author name and a link to the calendar. Don’t expect your calendar exports to refresh instantly. the PublishPress feed will update automatically as you make content changes. However calendar software does not update instantly. Some calendars allow you to choose how often the data is refreshed. Google Calendar has a powerful cache that can last 12 hours or more. These exports only go in one direction. You need to make content changes in your WordPress site. If you make changes in your calendar software, they will not be synced back to WordPress. We think PublishPress is possibly the best editorial calendar in WordPress. If you’re still not sure, check out reviews of the PublishPress.